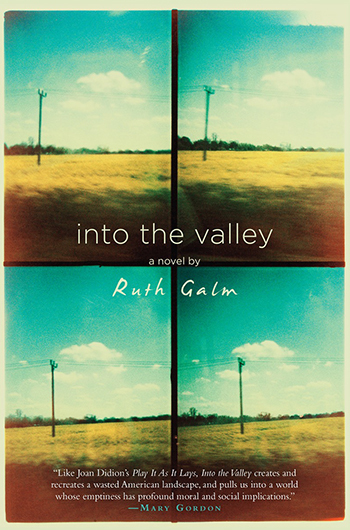 “She took the forged check to the bank and cashed it.” Thus begins Ruth Galm’s riveting debut novel, in which a woman, B., abandons her dingy apartment in San Francisco and makes for the vastness of the Central Valley to escape a creeping anxiety she calls “the carsickness.” When the fly-by-night empowerment of driving a Mustang bought with stolen money fades, B. finds herself again battling a sense of dread and unbelonging. As out of place amid the stodginess of her mother’s generation as she is among the unruly counterculture kids of her own, she drifts, an outcast—never quite established as herself. Along the way she bumps up against a motley cast of characters, each of which tests her perception of herself. Galm’s writing here is terse, vivid, and heavily atmospheric, with a derelict moodiness that draws the reader, too, into B.’s gradually oppressive carsickness. 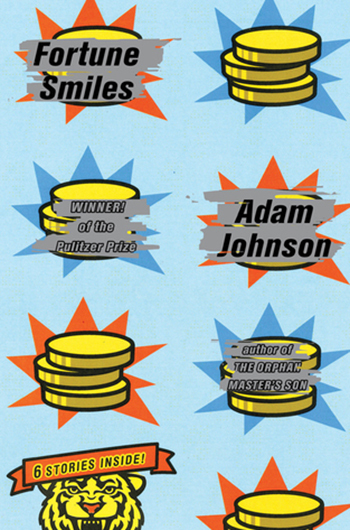 Adam Johnson won the Pulitzer Prize in 2013 for his North Korea-set novel, The Orphan Master’s Son, so it’s no surprise that his new collection of six deeply resonant short stories is enthralling. In “Nirvana” (give it a read over at Esquire), a programmer in Palo Alto bickers with his paralyzed wife over their respective fixations, hers with Nirvana frontman Kurt Cobain, his with hologram recordings of a recently assassinated president. In the titular story, “Fortune Smiles,” an inadvertent North Korean defector is disgusted by the kiddishness of South Korean culture and longs to return to his homeland—where at least he has a wife he loves and a sense of national pride. Each page of every story is suffused with delicate humor and keen, tragic longing—a deep yearning for human connectedness. And somehow, whether attained or not, a subtle sense of true intimacy is always—just maybe—within reach. In this rambling, book-length lyric essay, Jamie Iredell juxtaposes his own Catholic upbringing with the spread of Catholicism through colonial California. His weighty elegy is strung together in quick, reflective bursts of prose. He’s honest and conflicted, a man immersed in religion and disturbed by it and its past—and by his own past. “How do you reconcile your love for the California you call home, for your deeply pious Californian family, with the history—protracted and hellish—that is the father of both?” writes D. Foy (author of Made to Break) of the book. As Iredell chronicles his own development from guilt-ridden Catholic schoolboy to poet and author, he simultaneously follows the life of Father Fray Junípero Serra, founder of California’s earliest missions. 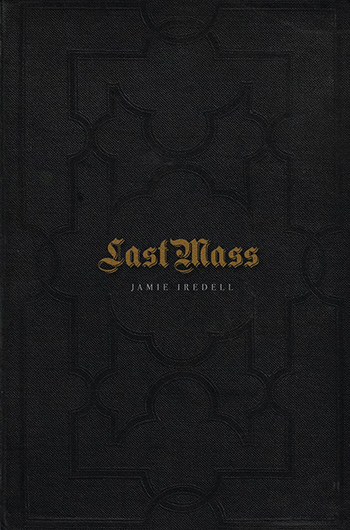 Last Mass is Iredell’s meditation on religion, oppression, Grizzly bears, and the process and his utter sincerity is irresistible. It’s 2004. A bomb goes off in a Madrid train station, killing 191 and reopening national wounds that had nearly healed. Five years earlier, a local politician was kidnapped and murdered; now, his wife seeks to meet the young man charged with the crime. The unlikely link between the two events is an American professor with secrets of his own. 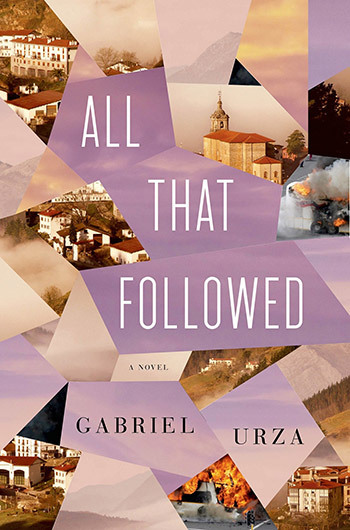 Urza’s alluring debut novel is based on fact, and in it he dives below the surface of a highly politicized event, breathing genuine life into characters who might otherwise be little more than headline fodder. In a series of well-paced vignettes, each from the perspective of one of the three main characters, he weaves a drama that centers on the treachery of perceived truth. 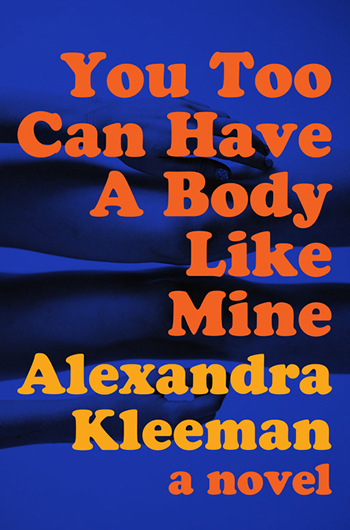 Kleeman’s postmodern debut novel has drawn comparisons to Don DeLillo’s White Noise as an unnerving, linguistically dissociating, commentary on the modern age. A TV-obsessed woman known only as A lives with her roommate, B, and boyfriend, C—both of whom become increasingly hard to live with. (Trend alert: single letter character names). Seeking a deeper human connection, A buys her way into a Scientology-esque cult (The New Christian Church of the Conjoined Eater), whose pamphlets she picks up in the supermarket, and embarks on an anxiety-fueled (and often quite witty) quest to be free from “darksourced food.” Taking the familiar—commercials, reality television, supermarkets, makeup—and making us rethink it, Kleeman serves up a clever satire of our culture’s ever-intensifying obsession with health, diet, and body image. Lauded by The Washington Post as “one of our era’s most vital masters of the short form,” Anne Beattie delivers her first volume of new stories in a decade. 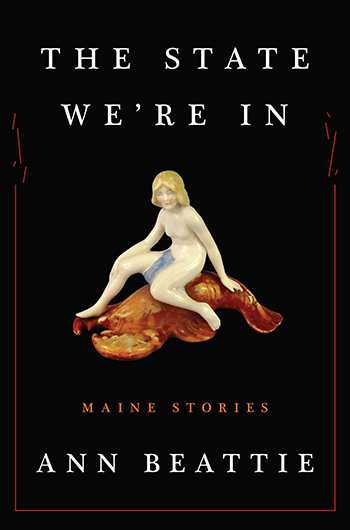 The State We’re In is a collection of linked, Maine-centric stories, at the center of which lounges diffident, archetypal teenaged Jocelyn. Living with (and more or less resenting) her aunt and uncle for the summer, Jocelyn is forced to write essays about Magical Realism when she’d rather be paying hospital visits to her charming, if self-destructive, crush. Three stories focus on Jocelyn directly. The other twelve (like “Major Maybe,” which you can read in The New Yorker) add new dimensions to the way Jocelyn perceives her world. All fifteen are perceptive and wise, teasing out the latent significance of the mundane.